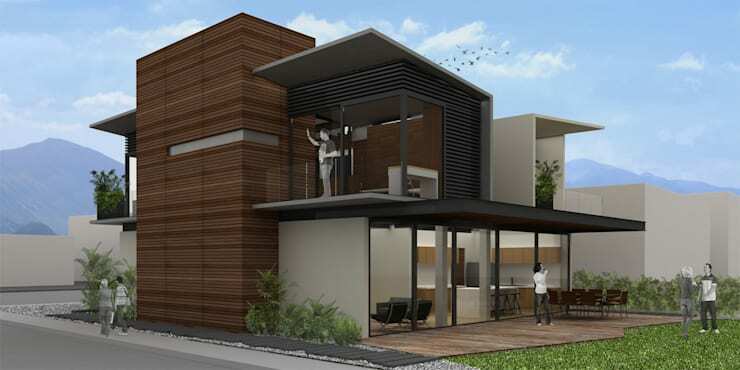 Your dream home needs visualizing before it can be rendered in reality. 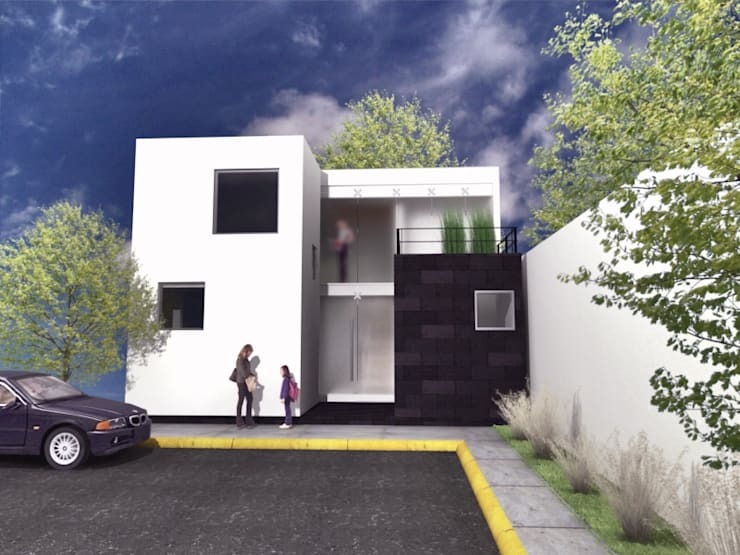 Which is why; 3D façade designs can help you to decide on what kind of abode you really need and desire. 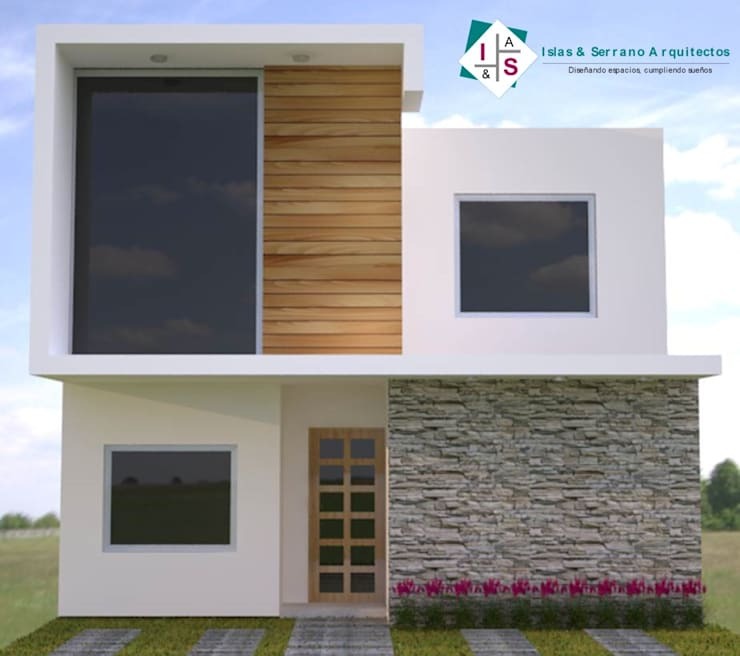 Three dimensional modelling also helps professionals to construct your home in a way that is as close as possible to your imagination. So here we bring you 20 stunning ideas which will inspire you to get started with your own project without delay. 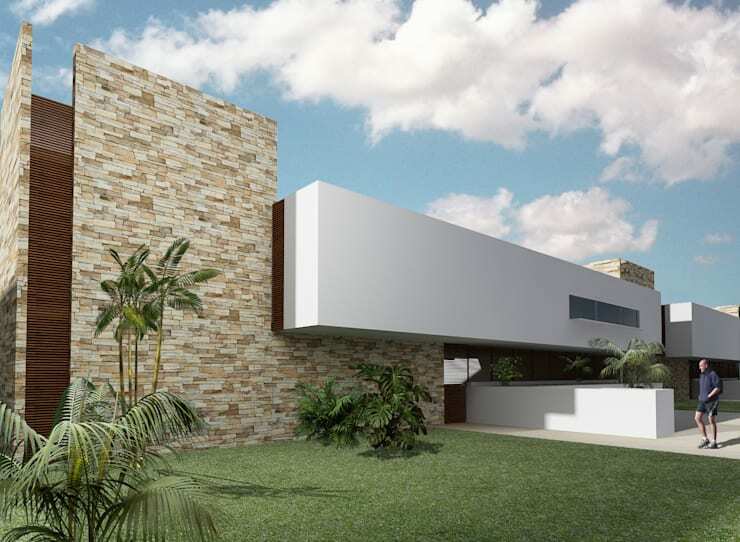 While some façade impress with the use of different materials, others entice with their minimalism or simplicity. 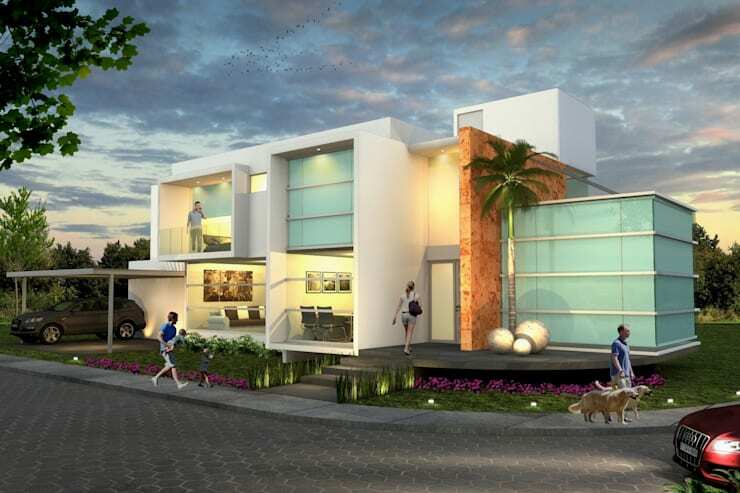 Pick the one that attracts you the most and embark on your journey of becoming a proud homeowner. 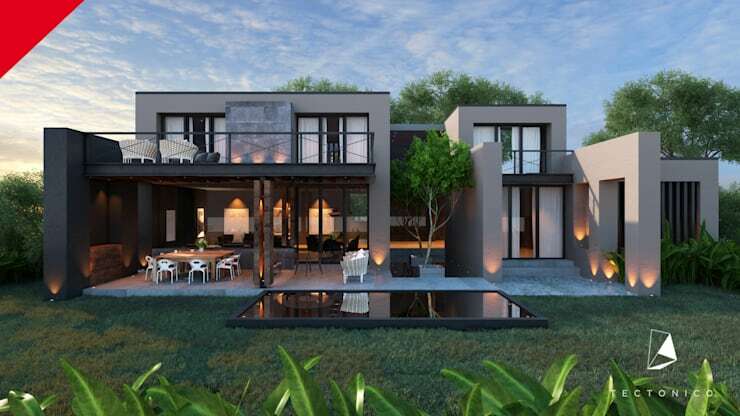 The rear facade of this double storey residence opens up to a lush garden and refreshing pool, while large terraces and balconies offer open air joys. 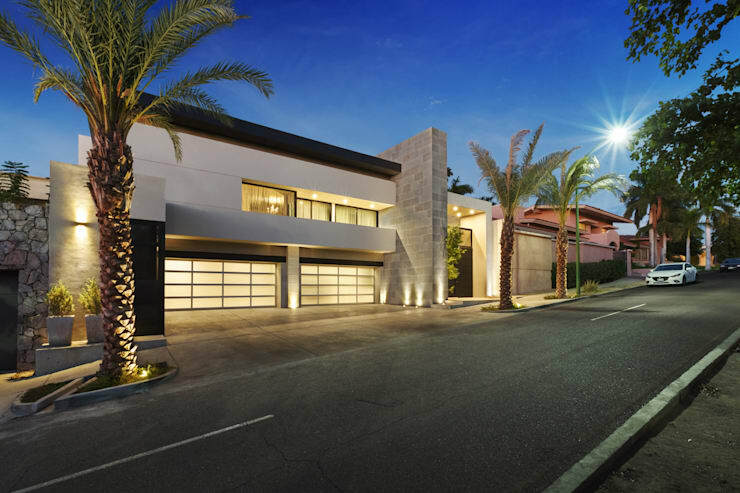 This neat and sleek facade impresses by bringing together different materials and featuring a snazzy garage illuminated by stylish recessed lights. 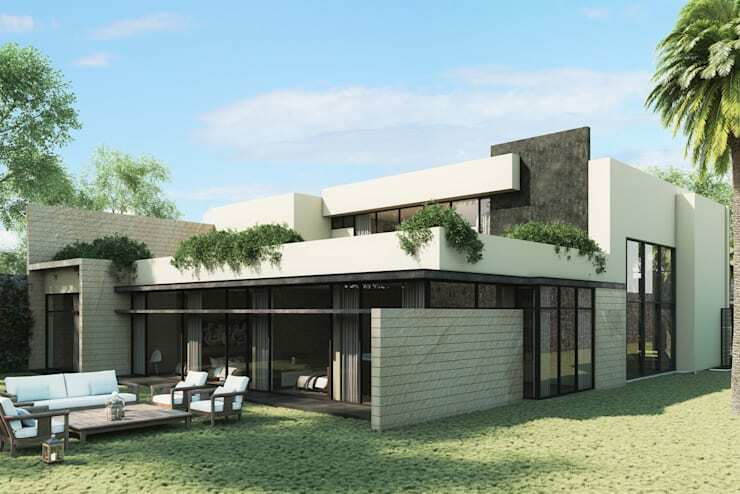 Rendered by the talented architects at Entorno Arquitectura, this house banks on lavish glazing for the second floor, stylish slats for the ground floor, and artful lighting for a beautiful facade. 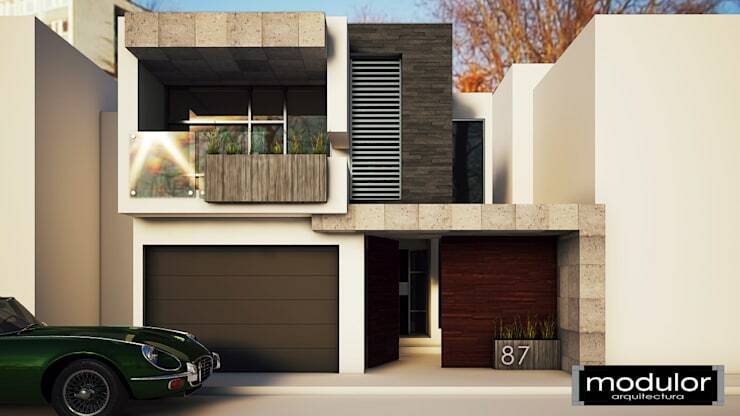 Wood, slim blackened slats, glass and concrete come together to infuse this modern facade with visual intrigue. All three levels of this magnificent abode have walls lavishly lined with glass to offer stunning views of the natural beauty surrounding the property. The different volumes of this facade offer visual depth and interest, since some are closed and some are open. Glass, stone, wooden slats offer textural appeal too. 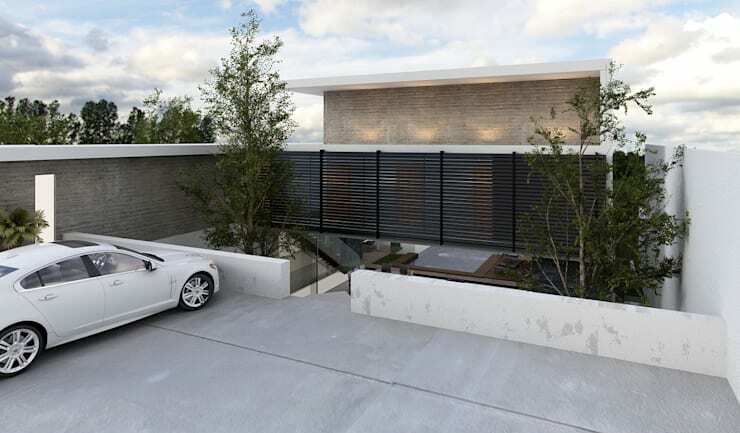 The simple facade here is partially concealed behind a long and slatted gate, which makes for a quirky and smart touch. Steps lead you to the first storey of the house which is below the ground level. 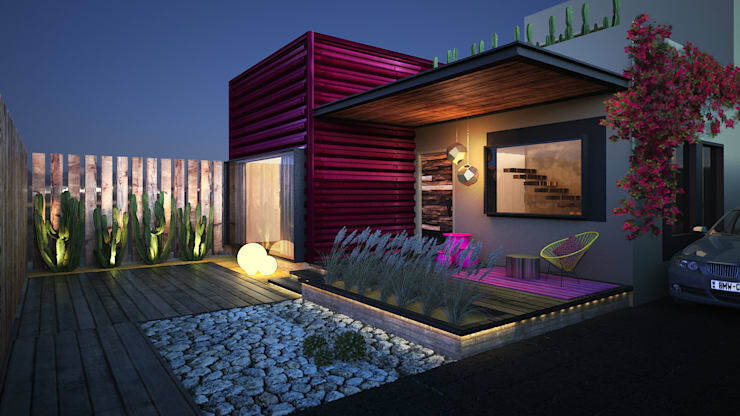 The rear façade of this abode impresses with unusual colours, a wooden terrace decked with pebbles and pretty plants, and unique lighting. 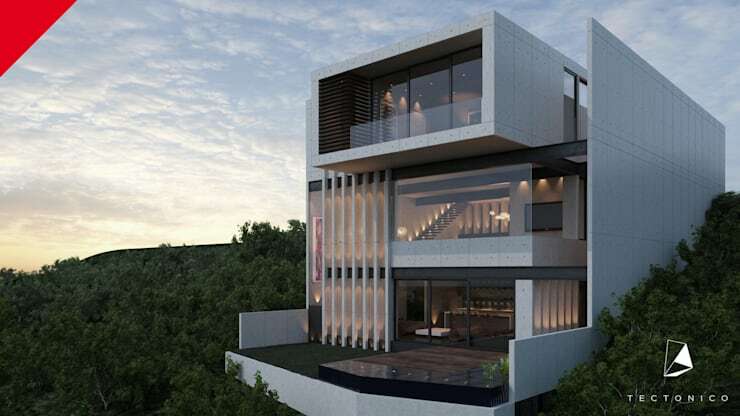 This towering two storey house combines frosted glass doors with square and clear windows to make for a unique statement that combines openness with privacy. The artful combination of glass, wood and stone helps this facade to stand out from its neighbours and intrigue onlookers visually. 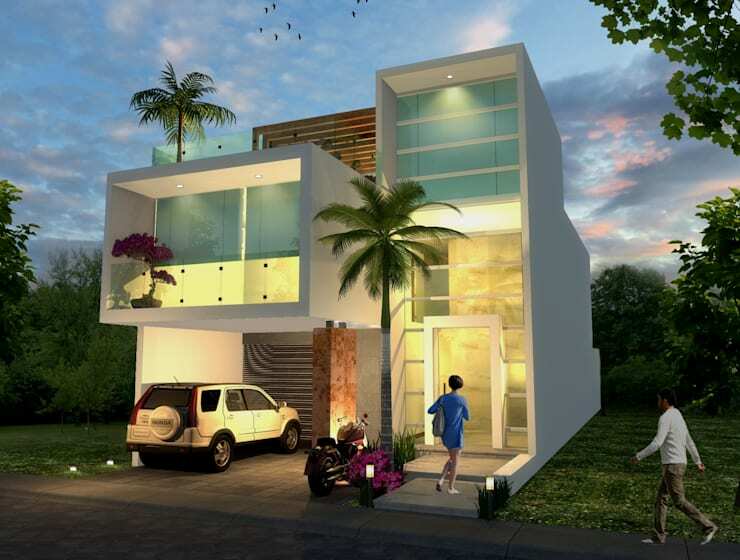 This two-storey house opens up to a gorgeous garden decked with stylish furniture, so that you can admire nature’s beauty comfortably. The large terrace on the upper storey features beautiful flower beds too. 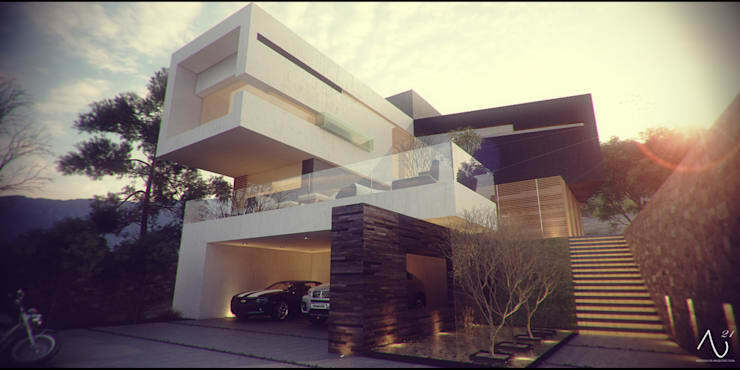 The simple and sleek lines of this minimalistic and low-lying facade have been given a dash of pizzazz with lush green cacti. The shadows cast by the projecting volumes of this facade add to the charm of the building. So while designing your home, you need to understand how different shadows will impact the look of the structure. Rendered chiefly with clear sheets of glass and stylish wooden panels, this home’s facade is an extremely modern, linear and trendy affair. While combining different materials like wood, stone and concrete for the facade, it is crucial to gauge how all the hues will look together. 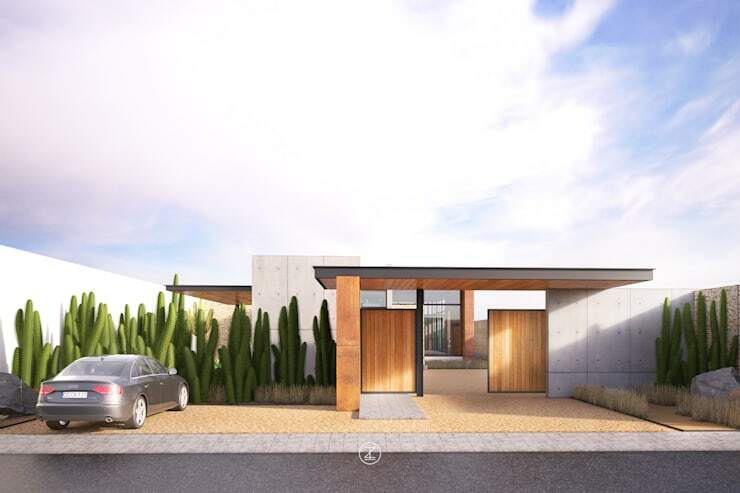 For this home for instance, the brown earthiness of wood goes very well with the grey stone accents and white concrete walls. 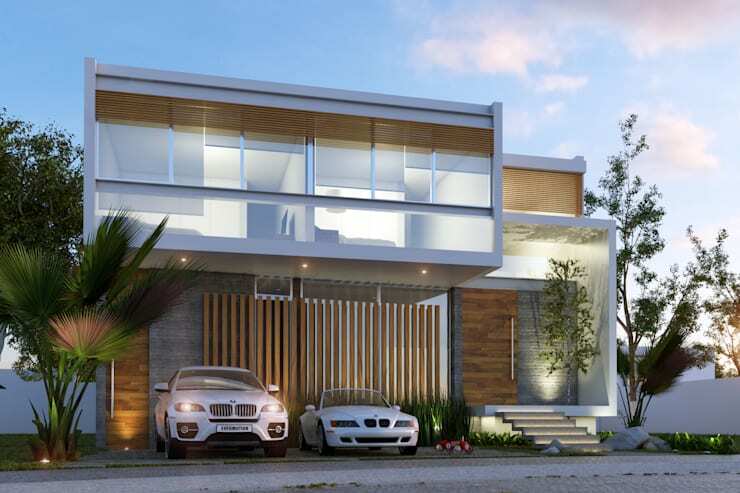 An elongated and linearly inspired facade can be a glorious sight, especially when paired with tall and lush palm trees. When privacy is your key concern, a facade with solid lines and shapes is perfect. Note how this white and stone-laden facade looks so attractive against the verdant lawn. With a glass-bound terrace, and futuristic and white volumes, this house looks deceptively lightweight and unique. Stone walls and creative lighting add contrast and pizzazz to the facade. Beautiful interior lights shine through the stylish and generous glass accents of this fashionable facade, while a wooden pillar and slats contribute to the texture play. 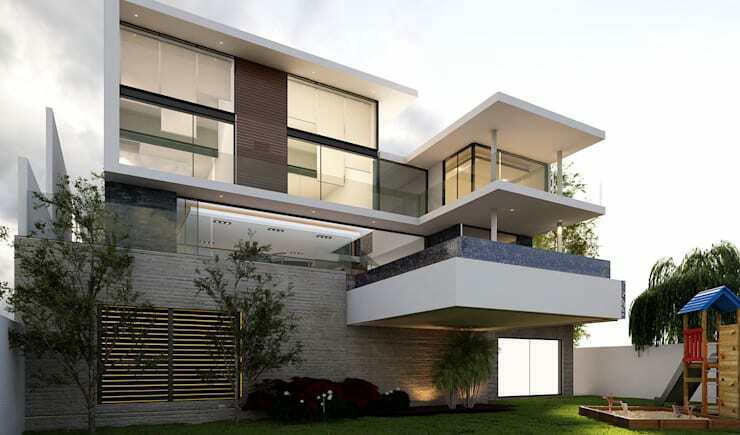 With glass panels lavishly lining both floors of this slightly raised house, a feeling of openness rules the facade. The living and dining areas on the ground floor embrace the garden outside, while a tall palm tree and pretty lights deck the entrance. For more inspiration, check out another ideabook - 13 Fabulous Entrance Designs For Small Homes.